Hi friends! 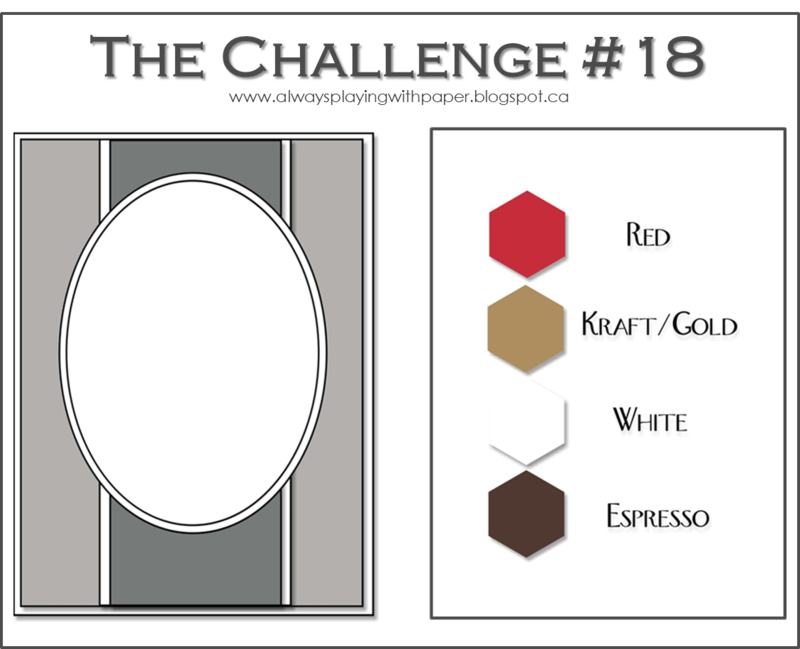 I wanted to play along with the challenge at Festive Friday. The inspiration photo is just gorgeous and there were so many different ways to be inspired. 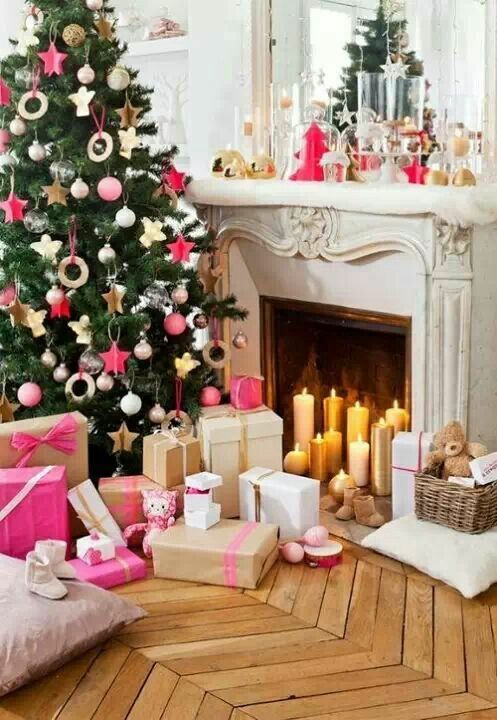 I decided to use the colors (pink & gold) and the tree as my inspiration. 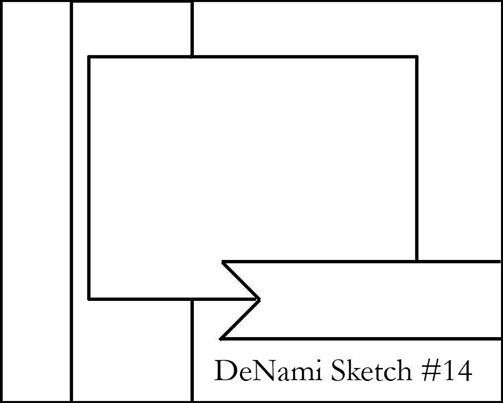 I followed the sketch at DeNami Design. I flipped the sketch to make it fit my design. 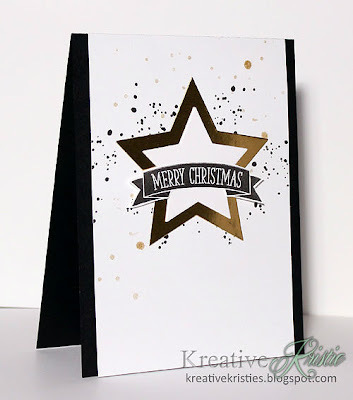 I love this Star Swirl stamp by DeNami. So pretty. It is embossed in gold and I used my Angel Pink Pico Embellisher (Imagine Crafts) to fill in the stars. 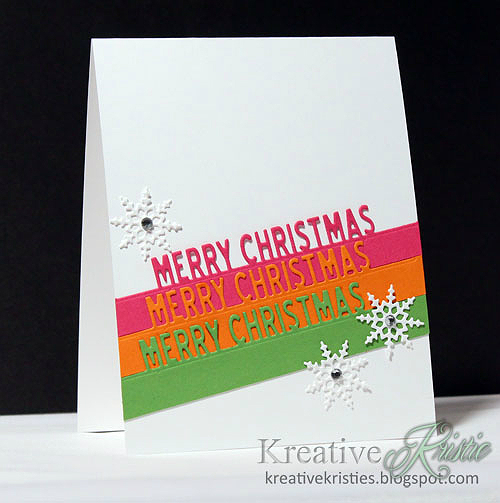 The little pink dots on the embossing were added using the Pico Embellisher as well. I am also adding this to Moxie Fab World: Tree-mendous Trees! I hope all my US friends had a wonderful Thanksgiving yesterday! I sure did. 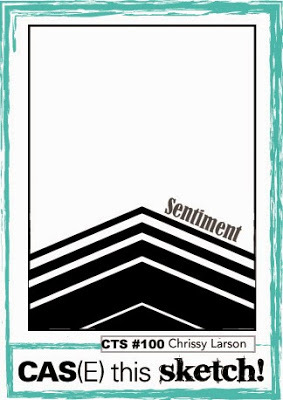 My card for today is for The Cutting Edge Challenge and Get Sketchy at My Favorite Things. Yes, these colors again! I just love them. The sketch was perfect for the die that comes in Holiday Frames by Simon Says Stamp. 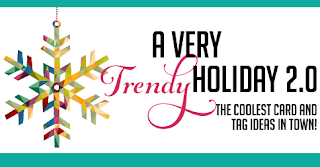 The sentiment is from Ornament Banner Builder (My Favorite Things). 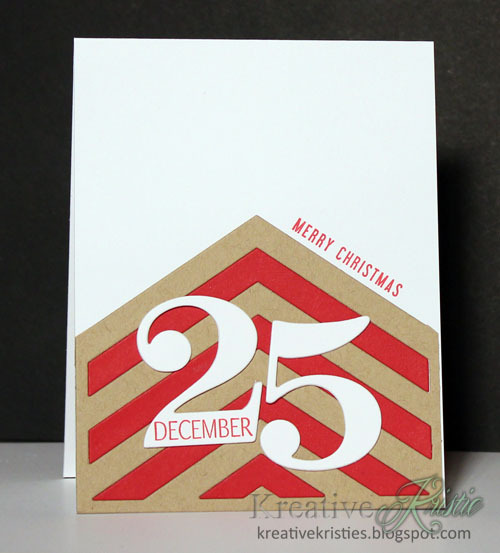 I once again used the Craft-a-Board by Ellen Hutson for the die cut to give it dimension. 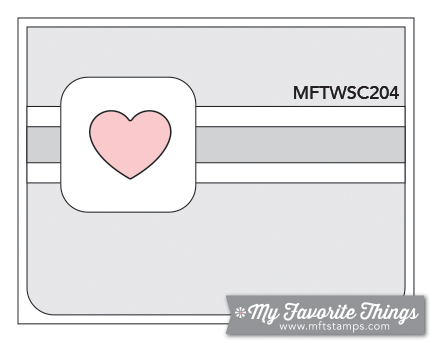 I will also add this over at Simon Says Stamp: Work It Wednesday. 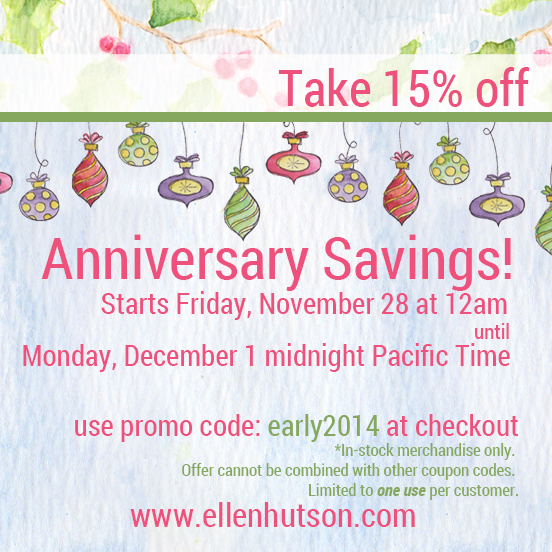 Before you go, don't miss out on the sales at Ellen Hutson! I wanted to pop in and wish all my US friends a very Blessed and Happy Thanksgiving! I am thankful for my 300 followers, and those that leave me encouraging comments each day. I have so much for be thankful for. 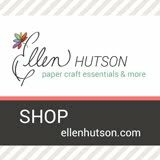 Before I go I wanted to share details about the sales at Ellen Hutson. 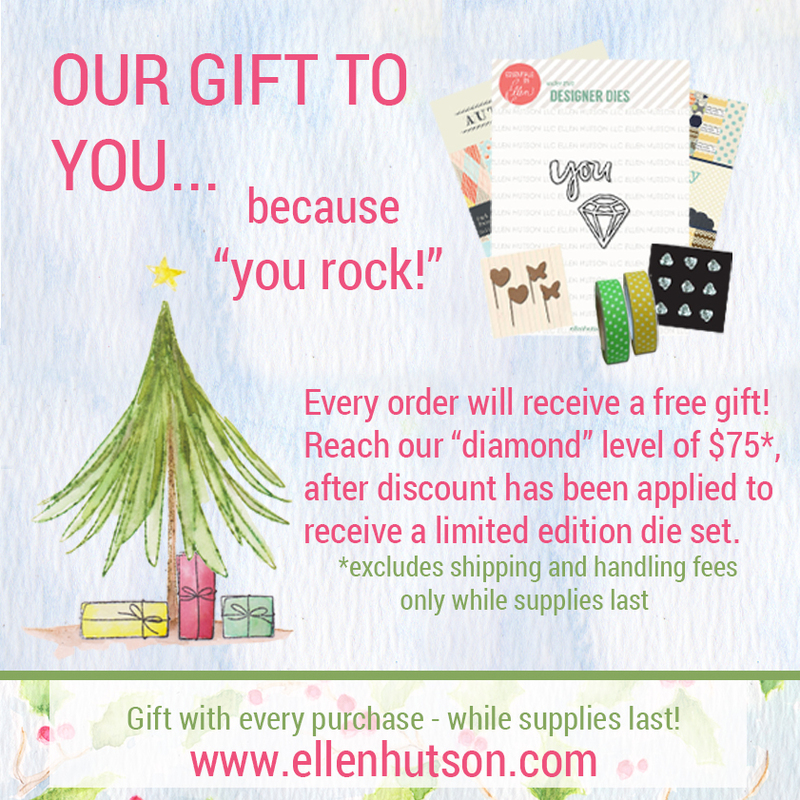 Free gift with $75 purchase after discount! 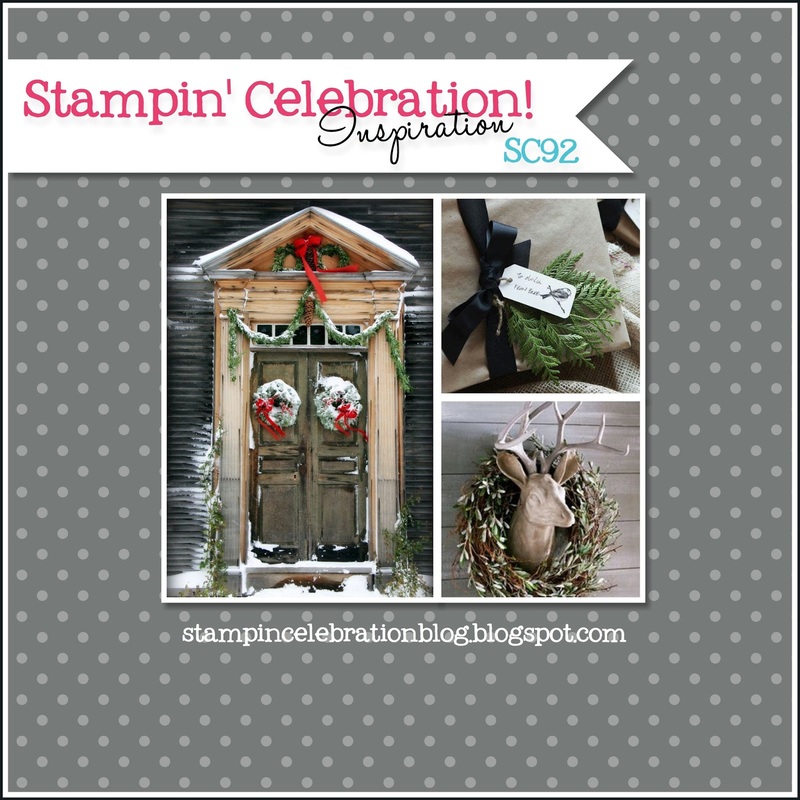 This is my second post for today, scroll down for my Stampin' Celebration post. Wanted to let you all know that Top Dog dies is having a Black Friday sale going on right now! Black Friday Sale #1: 15% off orders over $100; Use coupon code BLACK15. 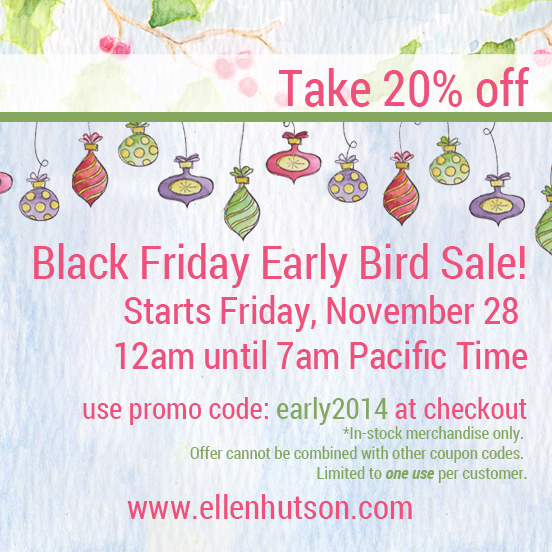 Black Friday Sale #2: 10% off orders over $40; Use coupon code BLACK10. 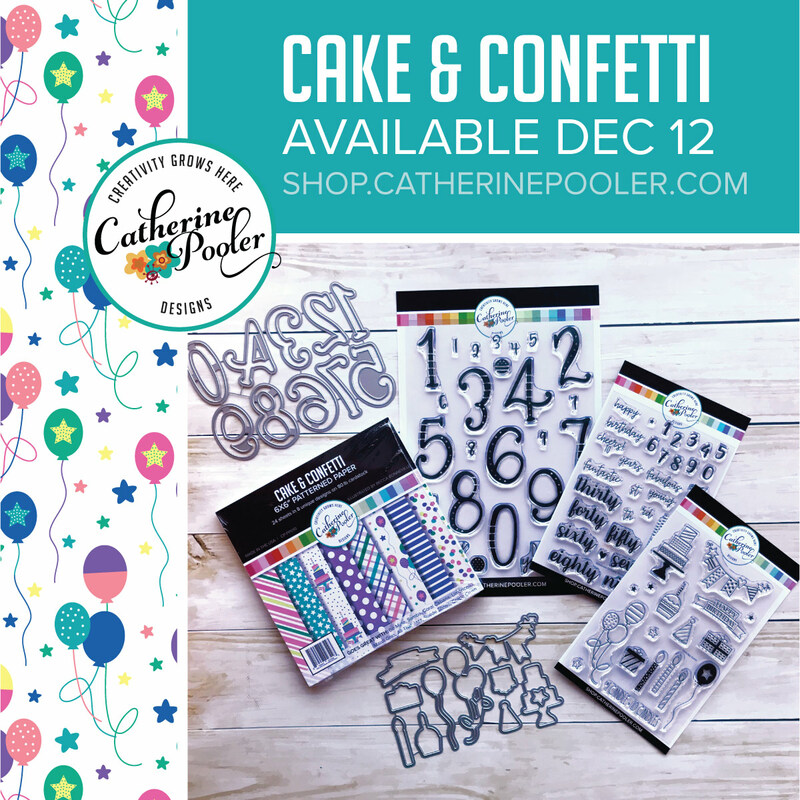 The sale ends Sunday, November 30th. 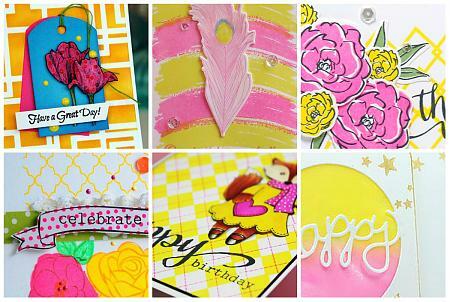 Top Dog has lots of fabulous dies so I hope that you will check out this fantastic sale! Hi friends! 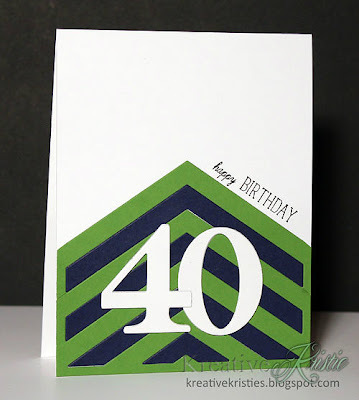 Today's card was inspired by the challenge over at Stampin' Celebration! The bottom photo on the right inspired my card. 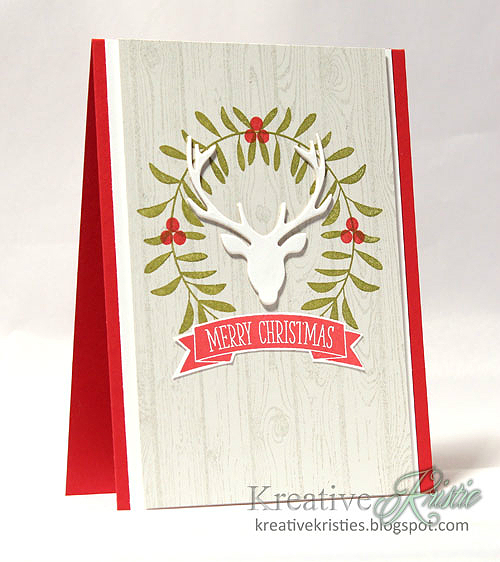 I have to admit that last year when the stag stamps and dies came out I was NOT a fan. This year is a different story, I can't get enough of them. haha Does that happen to anyone? This one by Julie Ebersole/Ellen Hutson is one of my favorites! 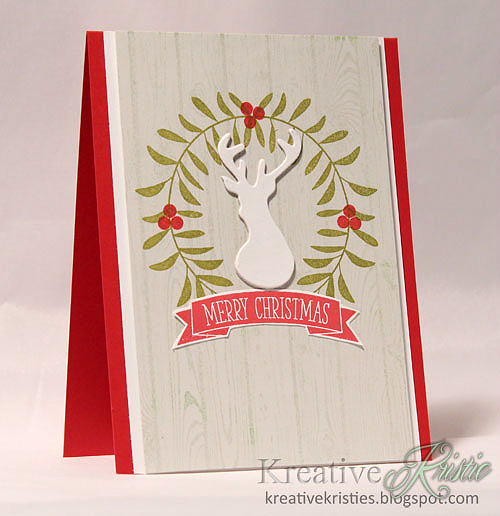 AND because I couldn't decide which stag die I was going to use, I made another one using this stag die by WPlus9! To give thickness to my stag dies I used Craft-a-Board by Ellen Hutson. 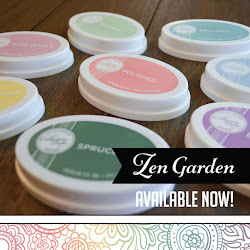 It is a chip-board like material that is thin enough to use with your dies. 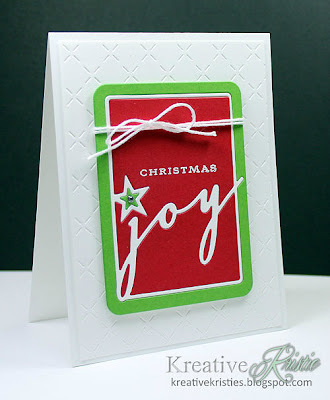 I like to use this instead of layering 3-4 die cuts using paper. For these I cut through the Craft-a-board then glued a white die cut on top. The craft-a-board is a cream color and I wanted my stags white. Do you have a favorite stag die? I decided that I love both of these. 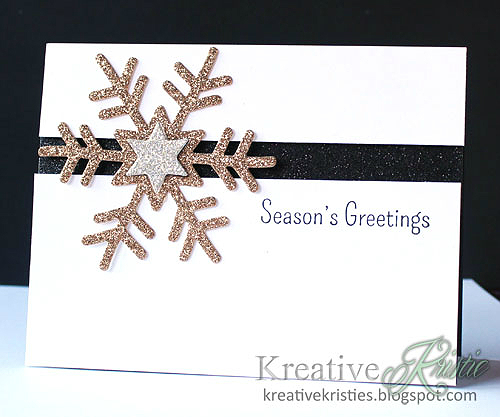 I absolutely LOVE this card, the colors, the angles, the snowflake, all of it!!! 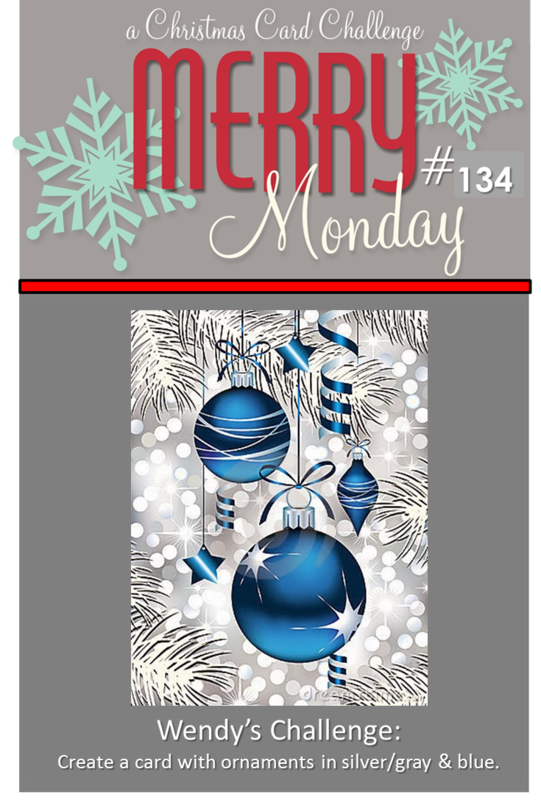 I have everything Amy used on this card and will CASE it exactly at some point but for my card today I used these fun Holiday Top Word Edgers by Impression Obsession. 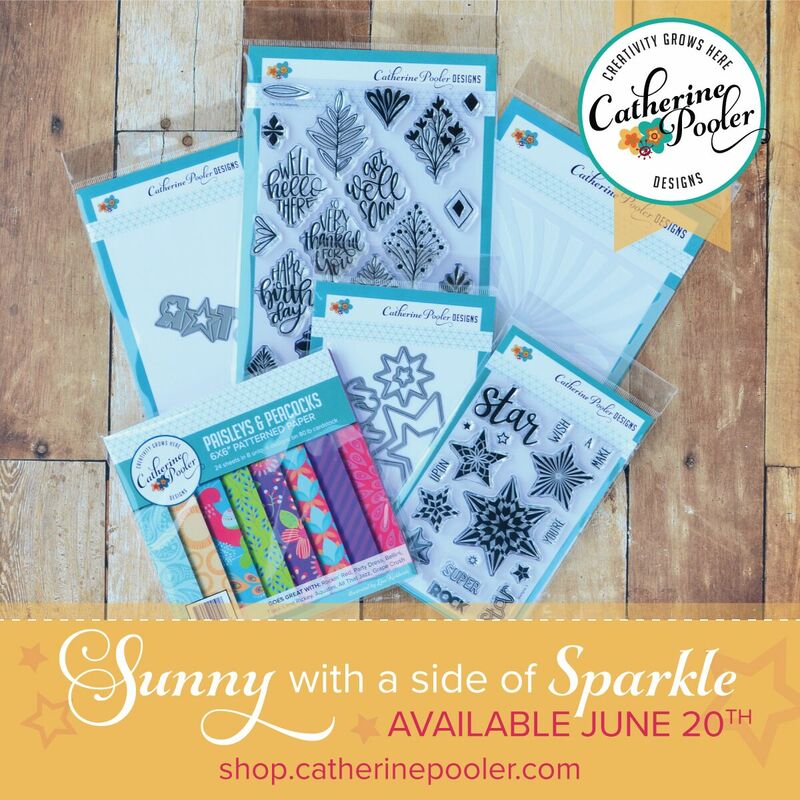 Accessories: Seasonal Sentiments (Wplus9), rhinestones, Holiday Top Word Edgers by Impression Obsession. This week Bonnie challenges us to use the colors red, green & white. 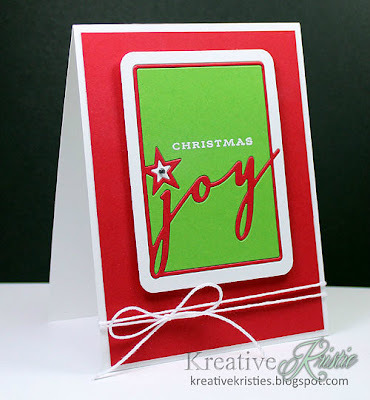 I used the Phrase Play #8 die by Papertrey Ink for my card. I love using the inlaid die cutting technique. I made 2 more cards with the same supplies. These all use the die and inlaid technique. I just changed up the bases and where I added the twine. Hi everyone! 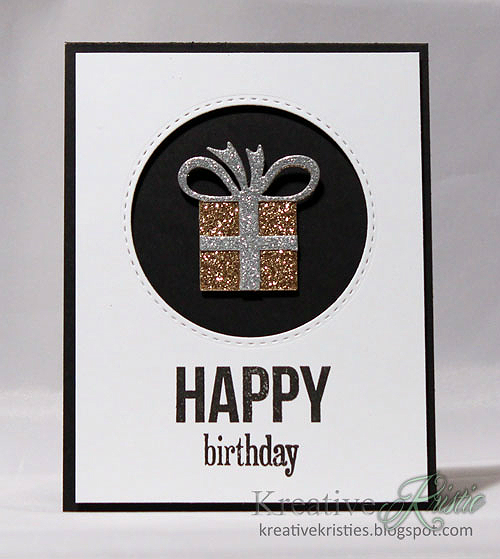 I have a super simple birthday card to share today following the sketch at CAS(E) this sketch! 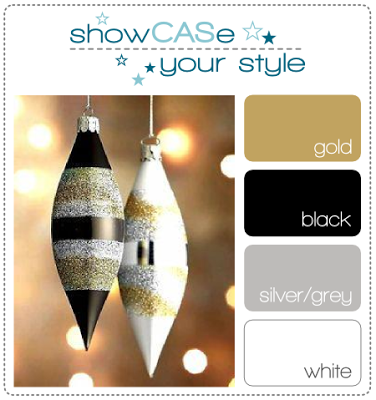 and using the colors from showCASe your style. 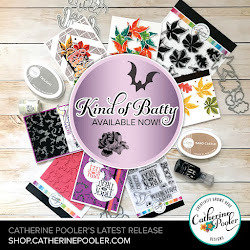 I used the Gift box die and Happy Everything stamp set by Clearly Whimsy Stamps. Thank you for visiting and have a great day! I am going to add this to the SSS Flickr Challenge & showCASe your style. 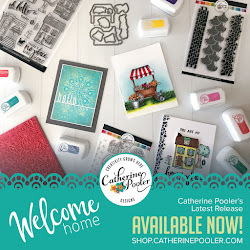 The StampNation design team was lucky enough to receive a box of goodies from Imagine Crafts. The box was full of awesome! For my card I played with some of the Vertigo papers that were in the box. These papers are so cool. 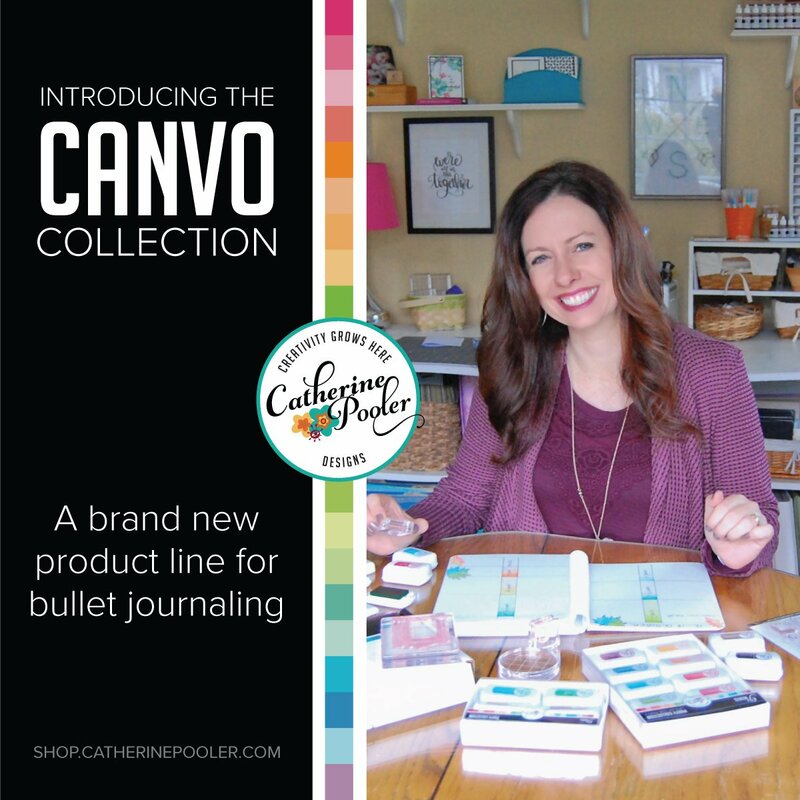 IMAGINE Crafts' Vertigo is a translucent patterned material that creates dazzling visual effects in craft projects. You can color it using the Radiant Neon Inks. My card is on the bottom right. 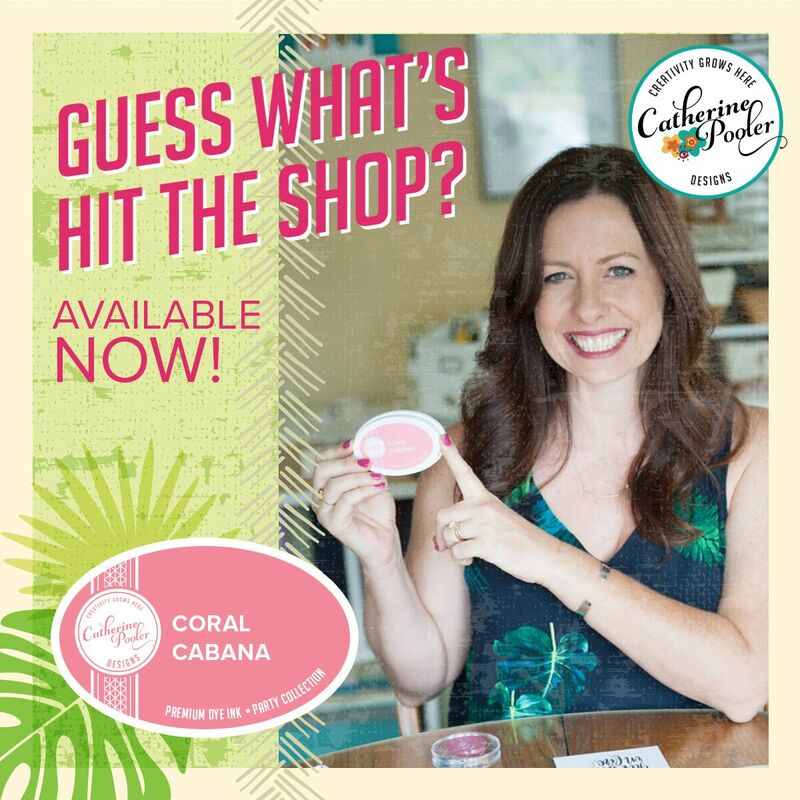 Imagine Crafts is sponsoring our challenge at StampNation this week. 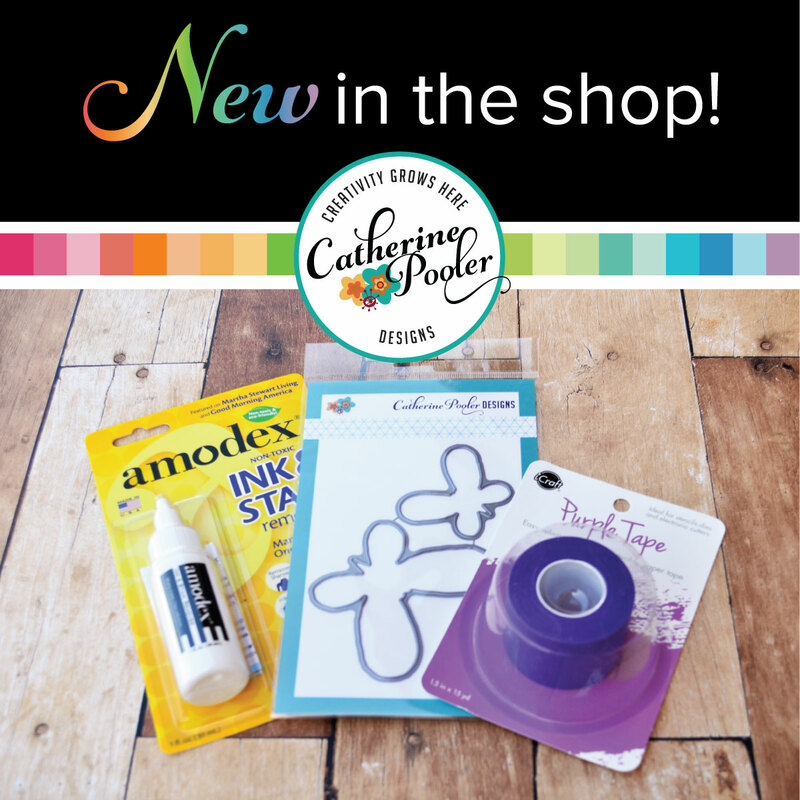 We've all used Imagine Crafts products, here's a peek. 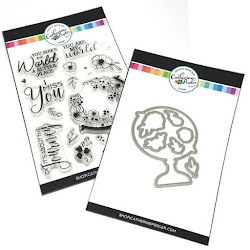 Members that play along will win an awesome prize pack from Imagine Crafts? Members click here to view our 150th challenge!!! Hi friends. I am back today with another card for CAS(E) this sketch! and the showCASe your style challenge. I am loving this sketch and my cards today are similar to the one I made here for my hubby's birthday but I decided to make Christmas ones. The colors are from the showCASe your style challenge. 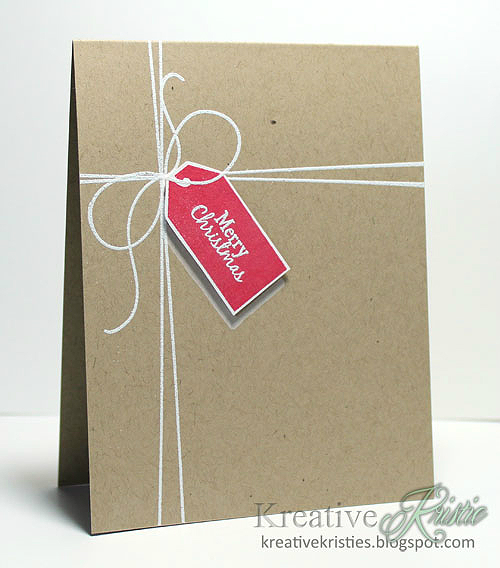 Here is the other one using the leftovers from the first card. I figured since all my materials were already cut out why not make another card, right?! I am also going to pop these over at Virginia's View Challenge. AND another one for The Card Concept. 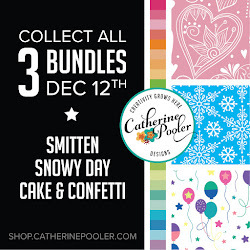 Remember this challenge ends on Monday, Nov. 24th at noon (PST). 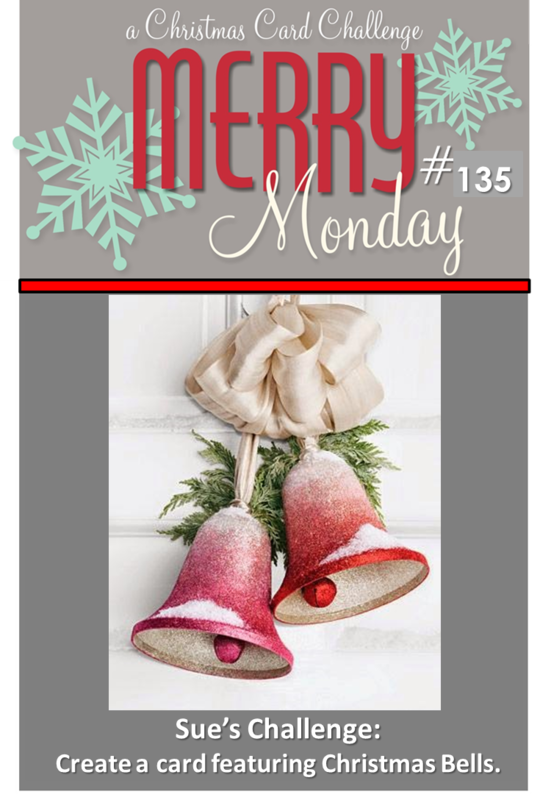 This week Sue challenges us to create a card featuring Christmas bells. 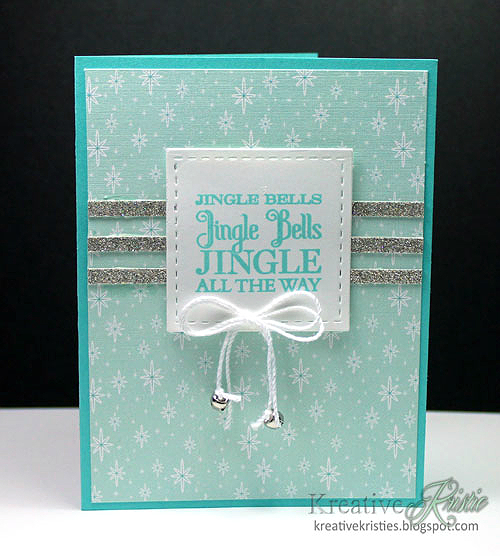 I really wanted to use some bells that are pictured in the graphic but realized I don't have any stamps/dies that are like these bells. 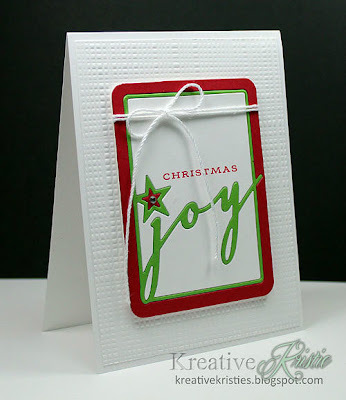 So I went a different route and added some little jingle bells by Stampin' Up to my twine along with the sentiment from Papertrey Ink. I love that when you "jingle" this card it makes a slight bell sound. Happy Saturday everyone! Today's card is for a couple challenges. 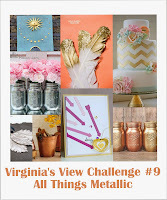 Virginia's View and Simon Says: We're seeing stars. I used the star framelits from SU to created my focal point. 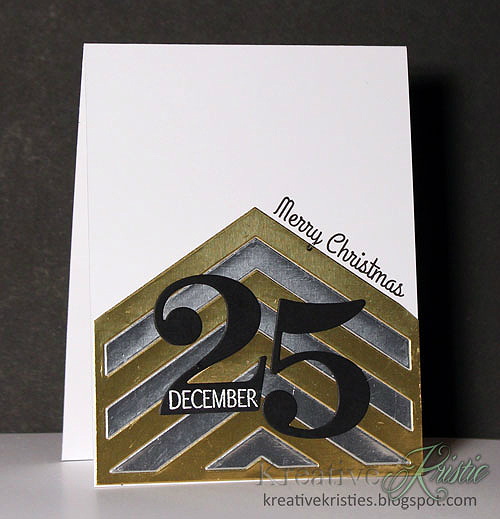 The splattering on the background is using black versafine ink and Gold Shimmer Spritz by Tsukineko. 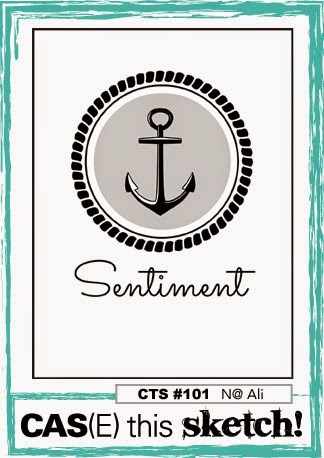 The sentiment banner is from Clearly Besotted called Mini Banners. I had taken this photo a dozen times trying to capture the gold glimmer paper on the biggest star but it just doesn't want to show up good. You can see the glimmer a bit on the right side of the star but that is it. I apologize. **ETA this over at a new challenge, showCASe your style! Thank you, Alanna!!! I have another idea that I will be working on for this challenge. Stay tuned! I will also be linking this up at our "A Very Trendy Holiday 2.0" Online Class. 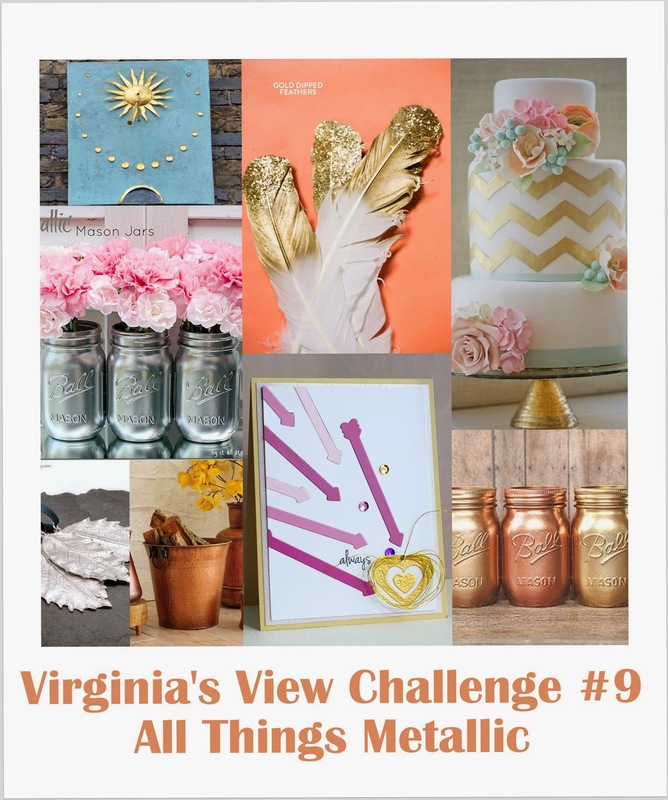 Metallics is one of the trends we looked at! Happy Friday everyone! Today is my husband's 40th birthday and this is his card. Once I saw the sketch over at CAS(E) this Sketch!, I knew exactly what I was going to do. I also wanted to play along since this is their 100th sketch! 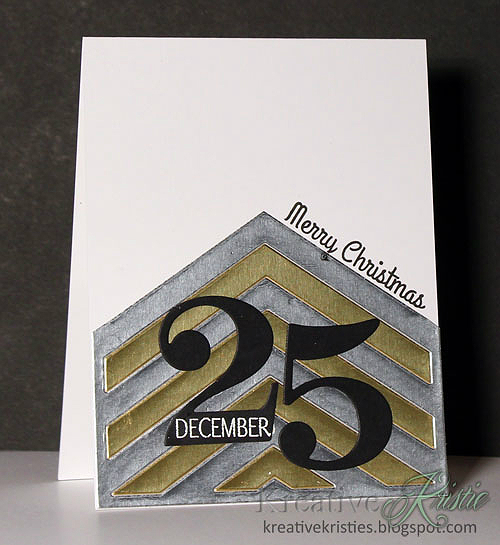 I used my Center Stage Cover plate die & By the numbers dies from Papertrey ink. The sentiment is from Altenew's set Sohcahtoa. The newest challenge on StampNation went up yesterday. StampNation has almost 150 challenges that never close. You can play along today or even a year from now. Hi everyone! I have some exciting news to share with you all. 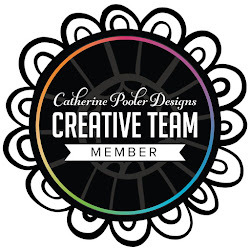 The lovely Lesley from Always Playing with Paper has asked me to join The Card Concept Design Team as one of their Clean and Simple Designers. 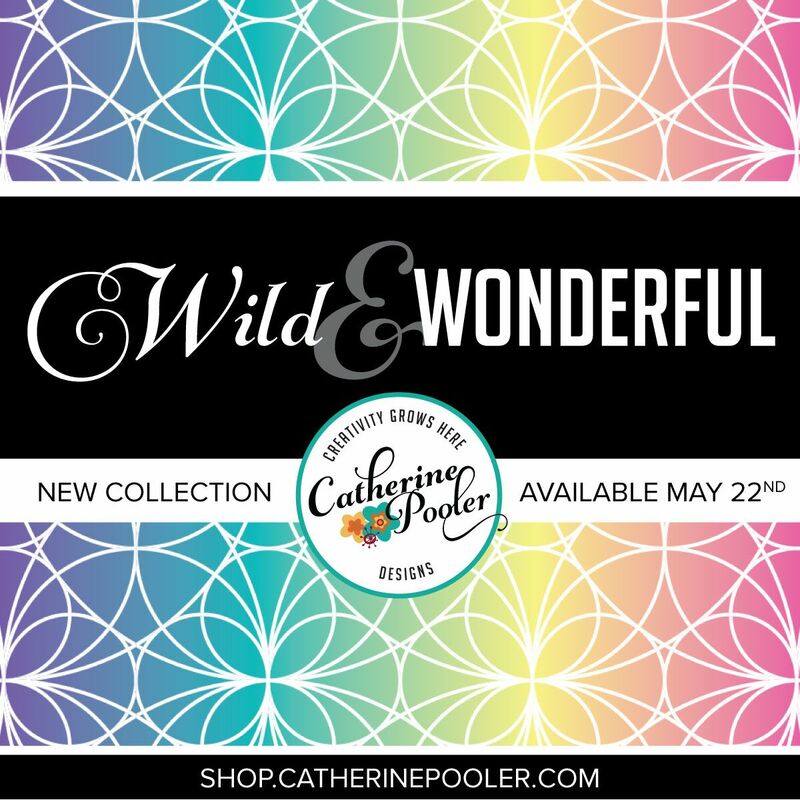 I am honored to be working along side so many amazing designers. I have the honor of working with Lesley on the Merry Monday Design team too! Thank you for having me, Lesley! 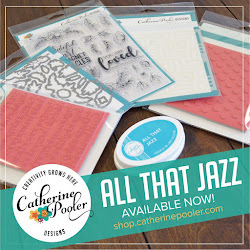 I have used Papertrey Ink's No Strings Attached stamp set. Love this set. I used white embossing powder on the strings and the sentiment. 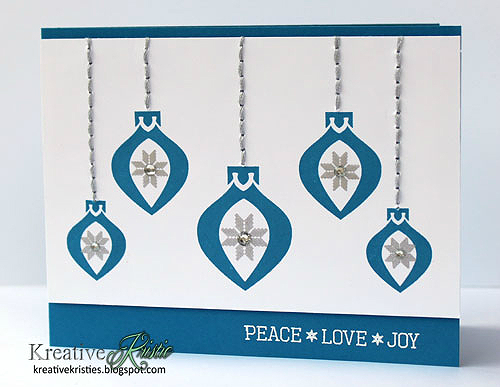 This week Wendy challenges us to create a card using ornaments in silver/gray or blue. 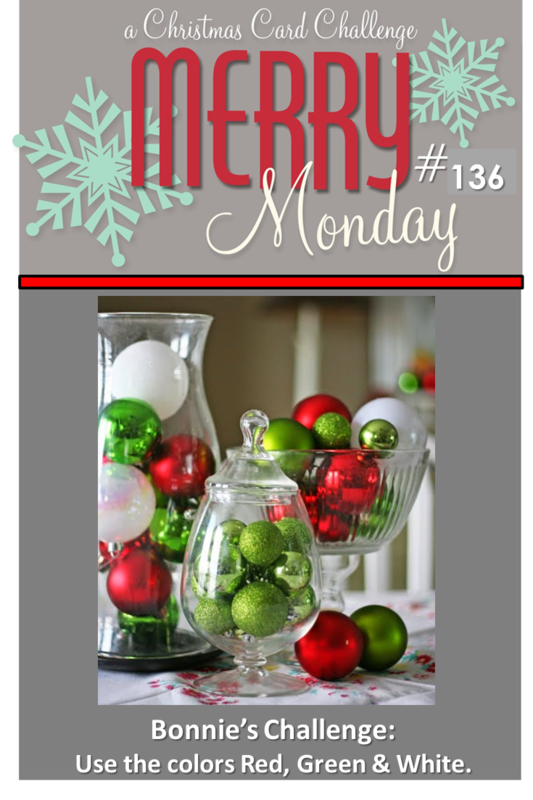 I recently got these ornaments from Clearly Besotted and knew I had to use them for this challenge. The set is called Ornamental Style. There are matching dies for the ornaments and adorable bows but I didn't use them on my card. I used my paper piercer and mat pack to pierce my string. I then threaded by hand some gray embroidery floss through the holes. I love this look of stitching. 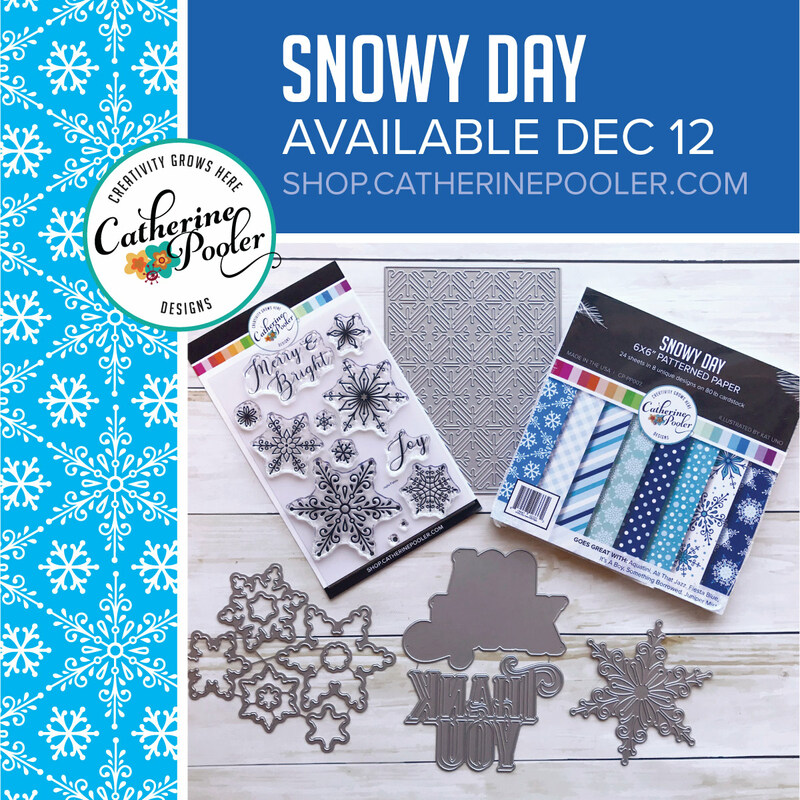 The snowflakes in the center are included in the set and were stamped using Delicata Silvery Shimmer ink. Today's card is for The Challenge #18! I chose to just work with the sketch by flipping it. I thought this sketch was perfect for using up some of my hoarded ribbons. 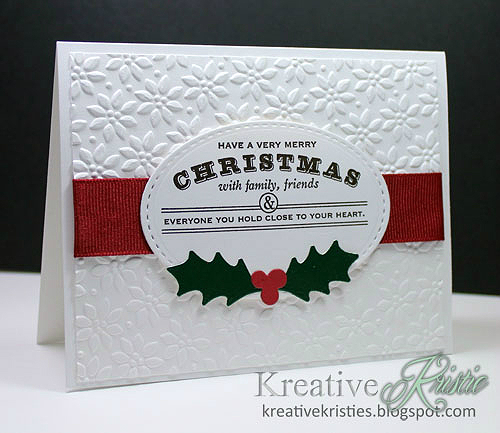 :) The sentiment and holly leaves are both from Papertrey Ink. 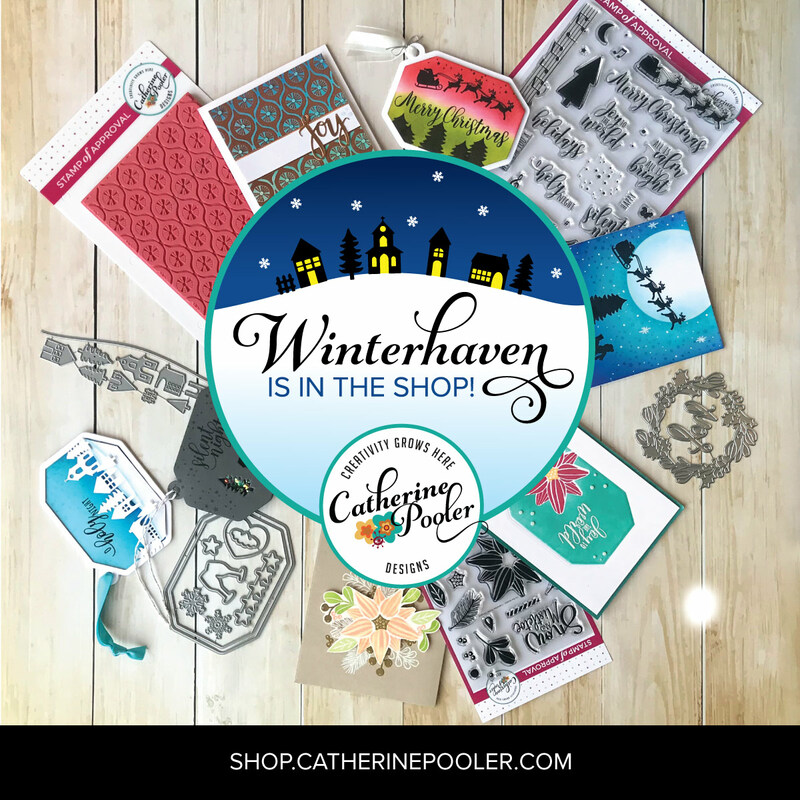 Don't forget to leave a comment on this post for a chance to win! 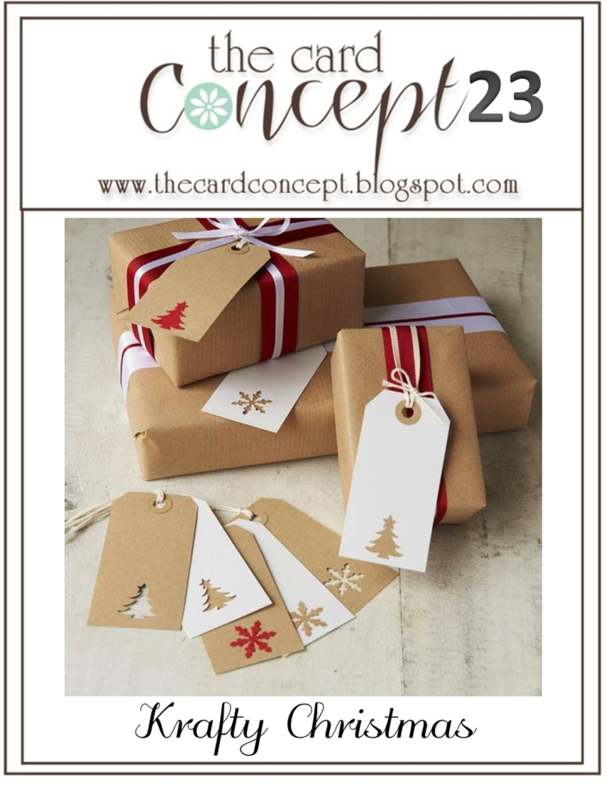 25 Days of Christmas Tags & a Giveaway!